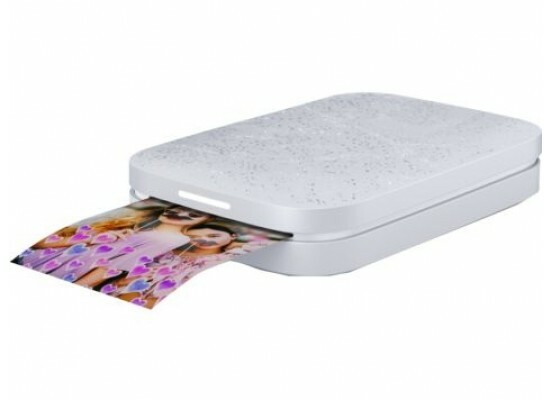 Share the present with instant 5 x 7.6 cm (2 x 3 in) photos from your smartphone. 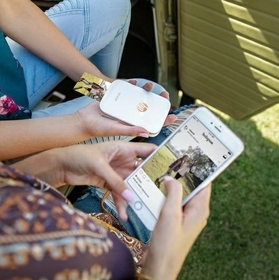 Easily connect smartphones to your Sprocket so everyone can print and view shared photos from your event.1 Relive every fun-filled moment with an amazing app. Use the HP Sprocket App to quickly print your favorite social media photos. 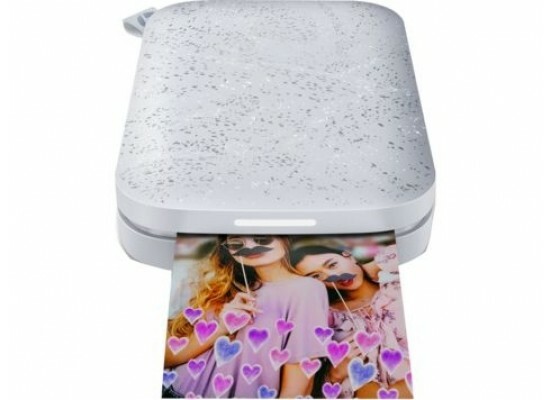 With seamless Bluetooth connectivity, you and all your friends can connect and print. You can add a personal touch by downloading the free HP Sprocket App to customize your photos before you print them. 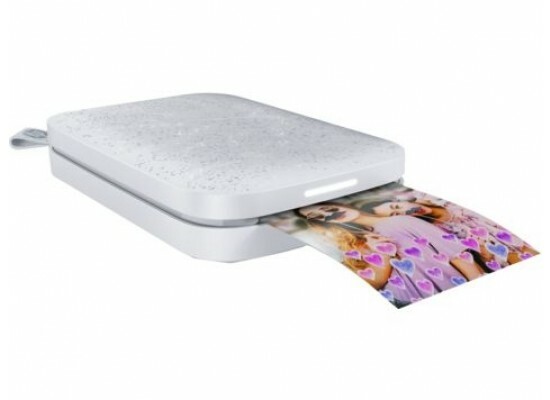 Get printing with the HP Sprocket in as little as 3 easy steps. Charge the printer. Press for 2 seconds on the power button. Download the app “HP Sprocket”. Connect your device to the Sprocket via Bluetooth. 1. Open the app & Choose a photo. Snap a photo or select a favorite one from your phone's camera or your social media accounts. 2. Personalise it. Get creative! Add personality to your photos before you print them with frames, emojis, text, stickers, filters and more. The HP Sprocket photo printer lets you easily share vibrant prints that capture all the fun-filled moments with sticky back paper.